Non-physical barriers are a major challenge to growth in intra-regional trade and transport in Asia and the Pacific. The developments in information and communication technologies offer tremendous potential to deal with these barriers in cross-border and transit transport. Various technologies are already in use to secure and track the movement of vehicles and goods, but their use in cross-border and transit transport is minimal. 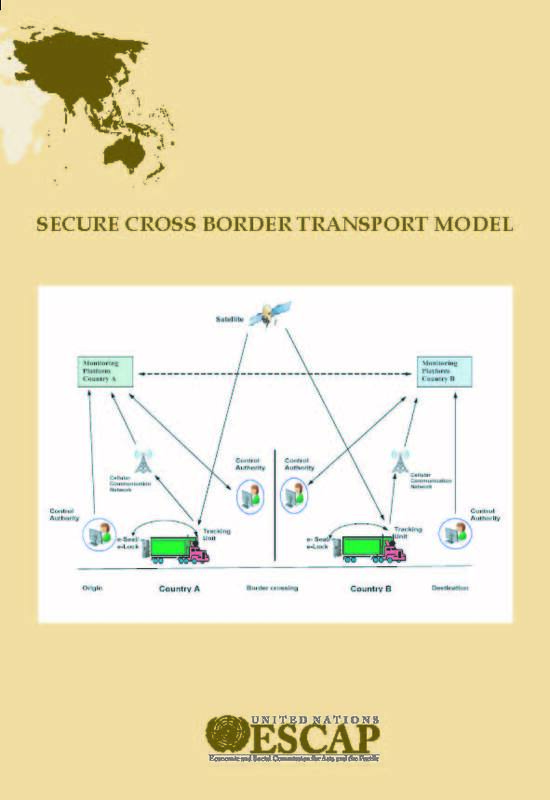 The Secure Cross-Border Transport Model developed by ESCAP uses technologies such as global positioning systems, cellular communication systems, geographical information systems, radio frequency identification, advanced web based software(s), electronic seals and computer network to provide a conceptual basis for design of the system that can be used to facilitate cross-border transport while addressing the pressing concerns of the control authorities. The model provides standardized technical solution to enhance confidence of control authorities on cross-border transport movement of goods and vehicles and also suggests necessary institutional arrangements to support the combined application of new technologies.